Pamela J. Dodd is the author of The Gift Horse and Trinity on Tylos. On Pam's Pages, she posts musings about reading, writing, and whatever else comes to mind. 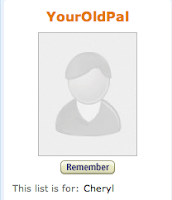 Thanks so much for stopping by, and please return for her regular entries. Recent headlines point out what I have long suspected— authors do trash the competition via websites which accept anonymous reviews. However, since Amazon is the big site for sales and reviews, and since Amazon does not require that readers actually even purchase the book, much less use a real name, Amazon is a fabulous place to trash the competition. Apparently that happened to some scholarly authors in the United Kingdom, and the perpetrator has been identified, confessed, and gone on sick leave. While I do not subscribe to the idea that illness comes from a guilty conscience, I did find the revelations by British author Orlando Figes to be fascinating. According to various articles in the UK press, Figes first denied the accusation. The denial was succeeded by threatened lawsuits against those who accused him. Then his wife took the blame, and after the pressure failed to subside, Figes reversed his position. He is now stating that his wife's concern about his illness led to her take the blame for his scathing reviews of the literary competition. Let's hope the confession will help Figes' health, and everyone trapped in this morass will be able to move on. The Wall Street Journal's article focuses not on the confession, but on what provoked it— an investigation began when one of authors that Figes panned on Amazon got an electronics whiz to trace the "digital signature" of the anonymous critic. Lo and behold, as the saying goes, this led straight to a computer in Figes' household. The WSJ article goes on to highlight other lawsuits which have resulted from online reviews, including those on Yelp.com, and even one based on an eBay seller's ratings. Obviously, the days when one ignored scurrilous reviews are fading fast, and lawyers will profit. From time to time, I have written some reviews on Amazon, but always with my author name or with my legal one. While I don't like every book I read or every product I use, I am honest, so I do not have to hide behind a fake persona. As an author, I am fortunate to have some really good reviews on Amazon. I am quite grateful to have as many good ones as I do. Still, as long as this vendor allows anonymous reviews, some dishonest people will post reviews which are neither fair nor honest. Some authors, especially scholars, are not fond of Amazon, and this latest revelation won't help Amazon's reputation. Currently, I do have links to my books on Amazon on my website, but those may disappear when I do my next site update. Price is often the deciding factor in where to make a purchase, so Amazon will continue and will probably thrive. But, don't put much faith in the reviews, because they might be written by enemies rather than readers. Nowadays, I try to find organic foods, organic household products, even organic shampoo! Having heard multiple reports by cosmetology students, warning that putting chemicals in me or on me might upset the natural balance of things, and perhaps cause disease, has changed my shopping habits. But more than three decades back, as a college student, I was warned by a professor at Piedmont College that a story is ruined by a plot which is not "organic." Okay, it is confusing enough to try to find organic food; but how does a reader know if a plot is organic? In some ways, they are alike. 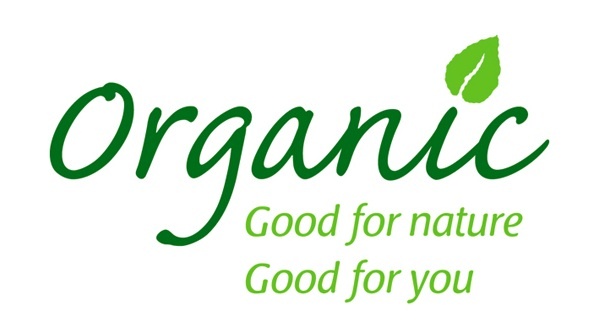 Organic foods are grown without outside contamination. A package of spinach labeled organic should have been grown without chemical fertilizers and pesticides. Basically, the food is not contaminated by something outside the farm. An organic plot in a literary work is self-contained. Any complication and any resolution comes from the character's own motives and the forces set out in the beginning of the story, and not from some outside influence. If the character is heroic, then heroism is expected. If the character is a coward, and some hero in a space ship arrives to save the day, that's cheating. Aristotle's Poetics described this flaw as a deus ex machina, which roughly translates to "a god in a machine," and when a writer can't conclude the story without some element from outside the original story, that leads to a plot which is not organic. Readers may or may not agree, but I have always tried to keep what happens in my novels organic, even when the plot twists and turns. In his Poetics, Aristotle was analyzing the perfect tragedy, and his principles are still very much at work in good fiction. Writers must show and not tell, which is easier said than done. The cause-and-effect chain found in a good plot draws the reader in, as he or she can envision being involved in the series of events. There is both pity and fear, because the reader experiences the emotions brought on by the elements of the plot. When the reader can't go along for the ride, the plot lacks authenticity. In a time when the fish in the freezer case at the local Food Lion comes from China, there is a renewed interest in finding authentic, organic food. Of course, locally grown, organic food trumps the stuff imported from China or Chile. Literature should be organic and authentic as well, and locally grown is a plus worth seeking. More and more, researchers say that a child's personality is formed by early influences. Once, I asked hubby why he is so organized, and he mentioned that his grandmother, who was the most influential person in his early life, made him put up anything he finished playing with, so he is ultra-organized. 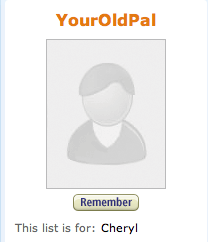 My early life was also ruled by the elderly. Initially, mom had a lady come stay with me in our home; when she gave up the job (too old to deal with a toddler) my dad took me to my great-aunt's house, which was in Redstone. There, I learned to read and write. In addition to reading with me, Aunt Stella had me copy the labels of the jars in her pantry. Actually, when I began school, I thought it largely a waste of time; I'd been there and done that. Just before I began formal schooling, my paternal grandparents took over my childcare, and from them I remember stories. Lots and lots of them. Really, I should write them down, although I am several decades away from being able to check them for accuracy. I should stop letting that hold me back, and I should record some of them, to pass along. I am quite certain that my love of story-telling goes back the early years. When I write a suspense yarn, as I did with The Gift Horse, or science fiction, as I did with Trinity on Tylos, I look to favorite examples. Someone said that mankind learns at the school of example; it is true. 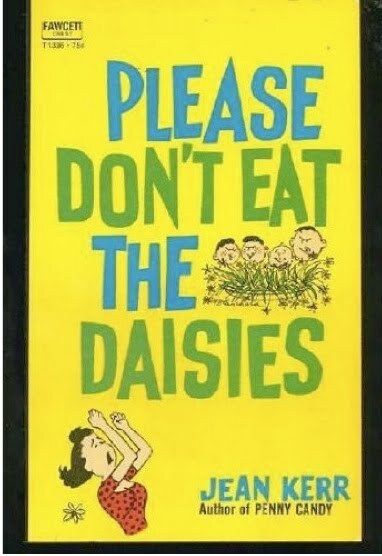 When I write that memoir, I could look at any number of examples, but as a teenager, I read Jean Kerr's collection of humorous essays, Please Don't Eat the Daisies, which remains one of my all time favorite reads. While it was published one year after my birth, and seemed a bit dated when I first read it, the struggles of a mom balancing work and motherhood are timeless. These tales of the Kerrs rearing their six kids are incredibly funny at times. The title comes from the instructions that parents give children. Try as we might to anticipate what the little darlings might do, we really can't predict what they'll get into next. So, when the daisies in the table centerpiece disappear into the mouth of a child, Kerr says she'll will know to say, "Please don't eat the daisies." Just the chapter titles can evoke a smile. One of my favorites is "Aunt Jean's Marshmellow Fudge Diet." Nowadays, deriding fatties is the last acceptable form of prejudice, but Kerr's take on the matter is more balanced. I remember an illustration of a guy, looking longingly at his plump and smiling bride's picture, while a thin and irate woman stands waiting to chide him for some unknown failing. Kerr's take on it is "She's as big as a house, but he's crazy about her!" Sometimes fat and happy is better than thin and crabby. And there's her observation that if you are still wearing maternity clothes when the child begins school, maybe it is time to take off a few pounds. Obviously, Kerr doesn't deem extra weight to be of paramount importance, and I don't think the word "obesity" appears in the entire chapter. Another favorite section is "Operation, Operation" wherein Ms. Kerr observes, "One of the most difficult things to contend with in a hospital is that assumption on the part of the staff that because you have lost your gall bladder you have also lost your mind." Or my personal favorite quote, "If you feel terrible, look terrrible." In fact, I am terribly good at that. In one of the essays on child rearing, Kerr relates that when her sons kept climbing out of their upstairs bedroom windows, the parents decided to have chain link fencing nailed over the windows. I just love her observation about the new addition to the house, "It gives the place a nice, institutional look." Kinda reminds me of the miles of new, black, chainlink fencing they've installed all around the local schools to keep the yard apes under control. Every time I drive by, I recall the phrase, "a nice, institutional look." 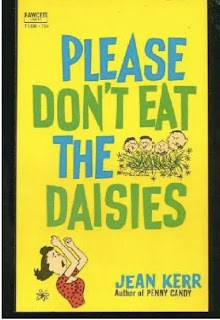 Although there was a movie version of Please Don't Eat the Daisies, and a television show based on the movie, neither of them capture Kerr's sharp, witty prose. The book is long out of print, but used copies are out there, and finding one is worth the search. Author and teacher, Pamela J. Dodd is the has published Trinity on Tylos, a science fiction novel, and The Gift Horse, a contemporary suspense saga. In private life, Pam is a mother of young adult children, a wife, and a teacher. Pam has taught English in a variety of settings, in grades 6 through college. Pam loves stories, especially those with real themes which reflect the values of humanity. Trinity on Tylos is on sale!